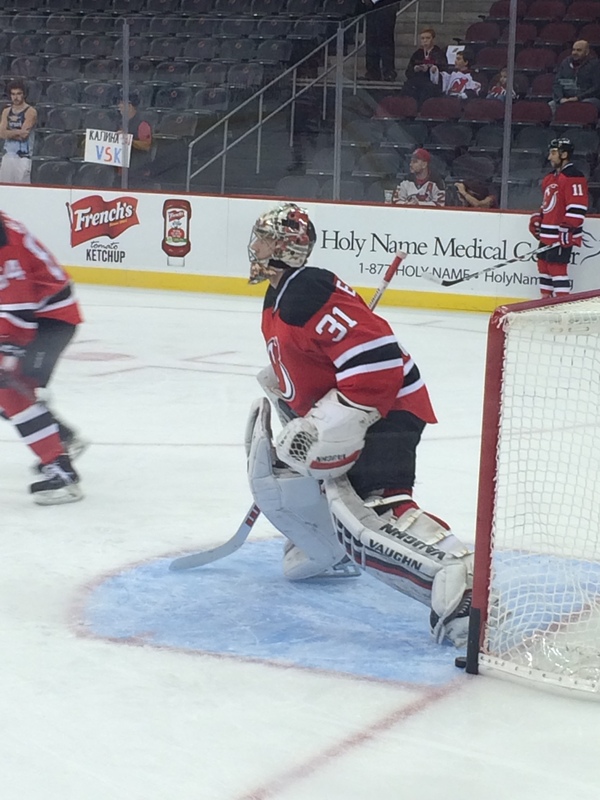 Goaltenders: Cory Schneider, Keith Kinkaid, Scott Wedgewood, Yann Danis, Ken Appleby, Mackenzie Blackwood. Defensemen: John Moore, Adam Larsson, Andy Greene, Jon Merrill, David Schlemko, Damon Severson, Brandon Burlon, Raman Hrabarenka, Marc-Andre Gragnani, Seth Helgeson, Dan Kelly, Reece Scarlett, Eric Gelinas, Vojtech Mozik, Ryan Rehill, Josh Jacobs, Colton White, Jacob Sweeney. Forwards: Jiri Tlusty, Stephen Gionta, Mike Cammalleri, Adam Henrique, Tuomo Ruutu, Jacob Josefson, Travis Zajac, Jordin Tootoo, Lee Stempniak, Kyle Palmieri, Rod Pelley, Stefan Matteau, Patrik Elias, Reid Boucher, Jim O’Brien, Pavel Zacha, Ben Thomson, Paul Thompson, Mike Sislo, John Quenneville, Tyler Kennedy, Graham Black, Blake Coleman, Sergey Kalinin, Brandon Baddock, Ryan Kujawinski, Blake Pietila, Matt Lorito, Chris McKelvie, Connor Chatham, Pierre-Luc Leblond, Joseph Blandisi, Blake Speers, Alexandre Goulet. For a numerical roster just click here. One notable name on this list is Tlusty, who was signed to a 1 year contract yesterday. His name may sound familiar to Albany fans…he appeared in 20 games with the River Rats during the 2009-10 season, after being acquired in a trade with Toronto in early December. He would spend the next 5+ seasons with Carolina before being dealt to Winnipeg in February. In 416 career games with the Hurricanes and the Jets, he has put up 87 goals and 86 assists. Stempniak and Kennedy are both in camp on tryout deals. While the veterans were getting settled in for their first day, the rookies already have at least one week in under their belt. After starting camp on Thursday, they traveled northwest to Buffalo to take on the Sabres and the Bruins prospects. Saturday night was not a good night against the Sabres, as Nicholas Baptiste would score twice in 3:36 to open the game, including a goal just 25 seconds into the contest. Justin Bailey would make it a 3 goal lead for the hosts with just over 9 minutes to go in the period. The Sabres would add on to the lead in the second as Cason Hohmann and Evan Rodrigues would score for a 5-0 lead. New Jersey finally got on the scoreboard in the third, as camp invitee Alexandre Goulet would break up the shutout just 29 seconds into the period. John Quenneville would add a 4 on 4 tally to draw the visitors to within three, but that was as close as they would get, as the Sabres would tack on a 6th goal courtesy of Sam Reinhart. Mackenzie Blackwood stopped 32 of 38 shots in his Devil debut, while Reece Scarlett would get the lone assist. If you have, oh, an hour or so to kill, the full coverage of the game can be found here. The rookie contingent looked much better in their second matchup of the weekend, a Sunday night tilt against the Bruins. Joe Blandisi would score twice and Matt Lorito added a goal, but the Devils would blow a 2-0 and a 3-2 lead en route to losing just 13 seconds into overtime, 4-3. John Quenneville would add two assists, while Max Novak and Ryan Rehill would have one helper apiece. Ken Appleby, a possible candidate for Albany’s #3 goaltending spot (read: the one who answers the white courtesy phone should anyone go down/get called up), got the nod between the pipes and stopped 36 shots. Again, if you have an hour or so to kill, you can watch the entire game here. After the rookies returned to New Jersey, Novak and Joe Faust were signed to AHL deals and will report to Albany’s camp, which should start up in just a little over a week. Also some not so good news popped up…Reid Boucher suffered a concussion while in Buffalo, it is not known when he’ll be able to return to the ice. Four days to go till the first preseason game…hopefully by next weekend we’ll start to get an idea of just who may be suiting up for Albany this season. 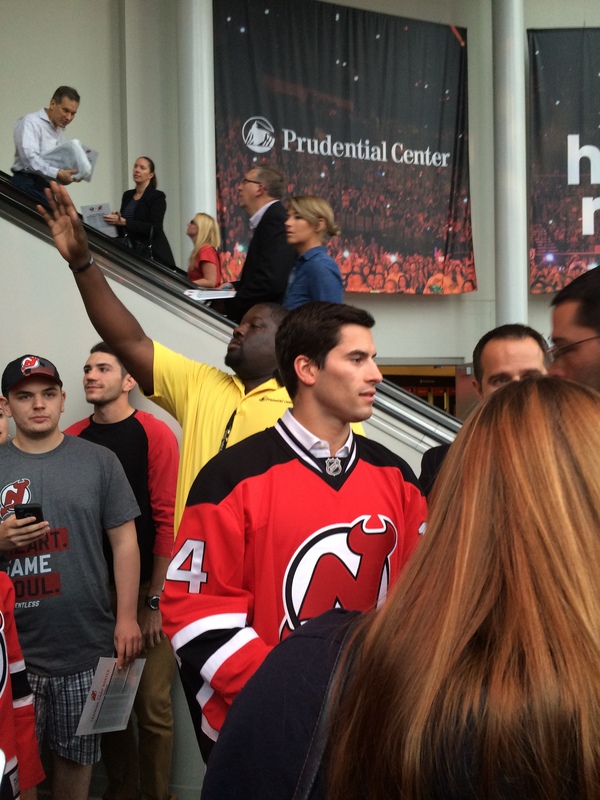 -A third development coach has been hired, as New Jersey has brought in Patrick Rissmiller. He just completed a 13 year playing career, spending the last two seasons in Italy after bouncing around the AHL between Rochester, Worcester, Lake Erie, Chicago and Grand Rapids. He last saw NHL time in the 2010-11 season with Florida. Much like Scott Clemmensen, he will be working with prospects at all levels in the organization. Goaltenders: Ken Appleby, Mackenzie Blackwood. Defensemen: Raman Hrabarenka, Reece Scarlett, Vojtech Mozik, Ryan Rehill, Josh Jacobs, Colton White, Jacob Sweeney. Forwards: Reid Boucher, Pavel Zacha, Ben Thomson, John Quenneville, Joseph Blandisi, Graham Black, Blake Coleman, Brandon Baddock, Ryan Kujawinski, Blake Pietila, Matt Lorito, Connor Chatham, Max Novak, Blake Speers, Alexandre Goulet. The group will report to Newark on Thursday before leaving for Buffalo later in the day. -Earlier this afternoon, Leblond made his third return to the organization, signing a 1 year 2 way deal. He spent the last two seasons with Devils coach John Hynes in Wilkes-Barre/Scranton, with one appearance in Pittsburgh. In 121 games with the Penguins, he scored 4 goals and amassed 500 penalty minutes. During his last stint in the Devils organization in the 2010-11 season, he played 2 games in New Jersey before spending the rest of the season in Albany, where he scored 8 goals and racked up 334 penalty minutes in 64 games. He was traded to Calgary during the offseason and bounced between the Flames and Abbotsford in 2011-12, with a stop in Norfolk in 2012-13 before suiting up for the Penguins.